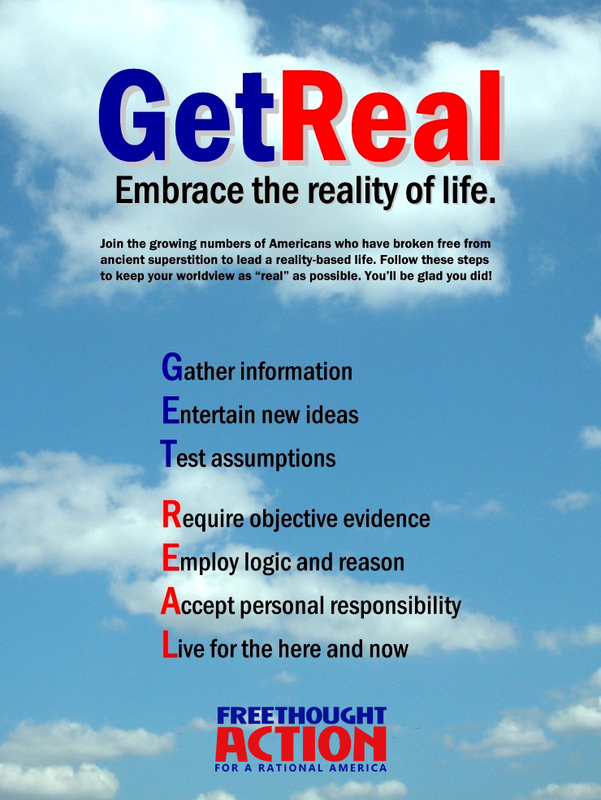 FREETHOUGHTACTION proudly presents our empowering GetReal program to help rational people move beyond superstition. It’s currently available in flyer form that you can print yourself for distribution wherever you think it will have the best impact. The flyer promotes a few keys steps toward living a reality-based life in a fun and concisely presented format.